Christmas jump! 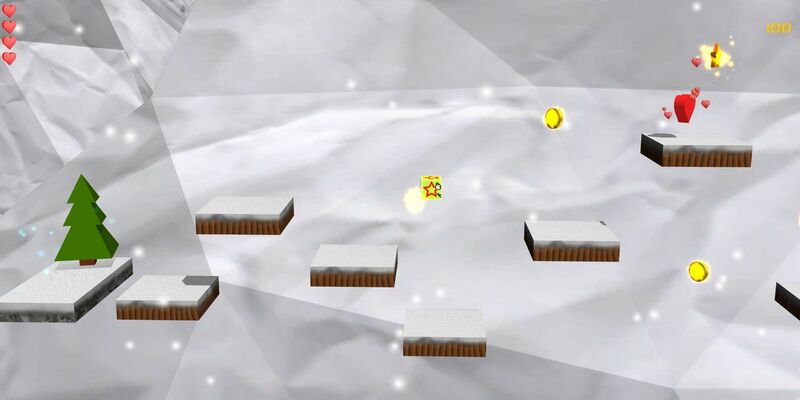 is a jump and run platformer made on the weekend before Christmas 2012. It was a present for my father who likes jump’n’run games. 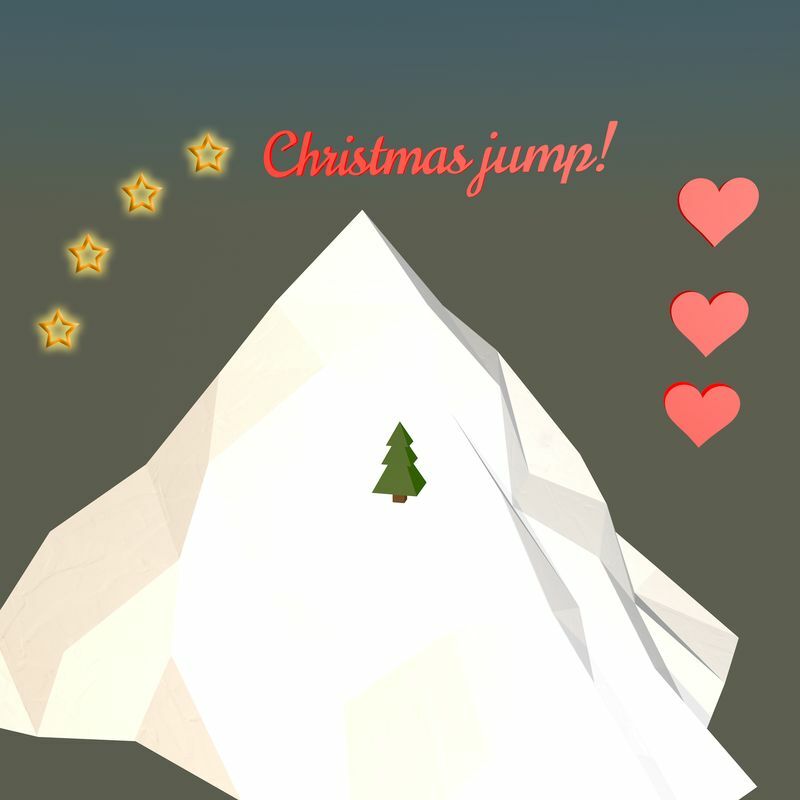 Christmas jump features a sentient present that wants to get to the other present waiting on top of the mountain to join in in joyful celebration. 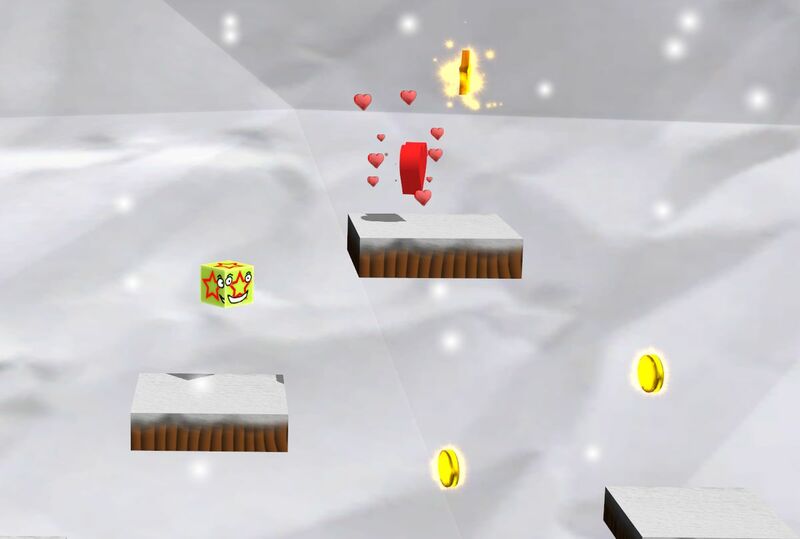 It has the classic features of collecting gold coins and stars that both count towards the player’s score as well as hearts (lives) and save points. 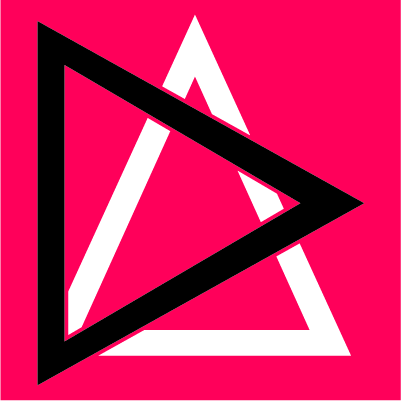 Additionally, there are physical features like platforms breaking when the player falls onto them from a certain height. The game is fully playable, but I am still implementing minor improvements for the interface and user controls. 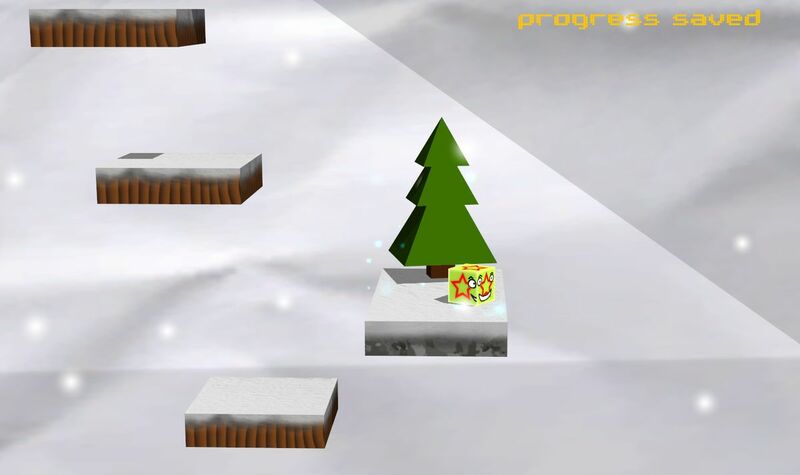 christmas jump and run platformer X-Mas Jump!